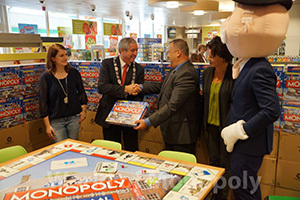 In cooperation with game manufacturer Hasbro and Identity Games the Plus van Gurp from Tolberg center in Roosendaal has developed this Roosendaal edition.. After cities like New York, London, Amsterdam, The Hague and Utrecht, Roosendaal has its own Monopoly board game. On Friday September 25 2015, Mayor Jacques Niederer received his own copy of the game from Identity Games. 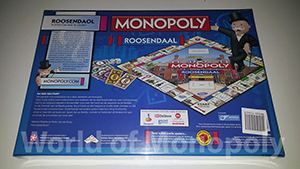 There are several streets of Roosendaal included in the board as well as the market, the television tower, the tullepetaon and the station. 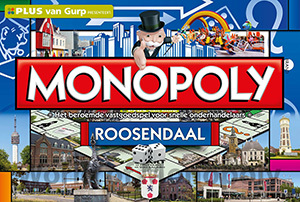 As owners of Plus van Gurp, Dimphy and Pieter-Jan have developed a special savings campaign, making it a unique way to purchase Roosendaal Monopoly. 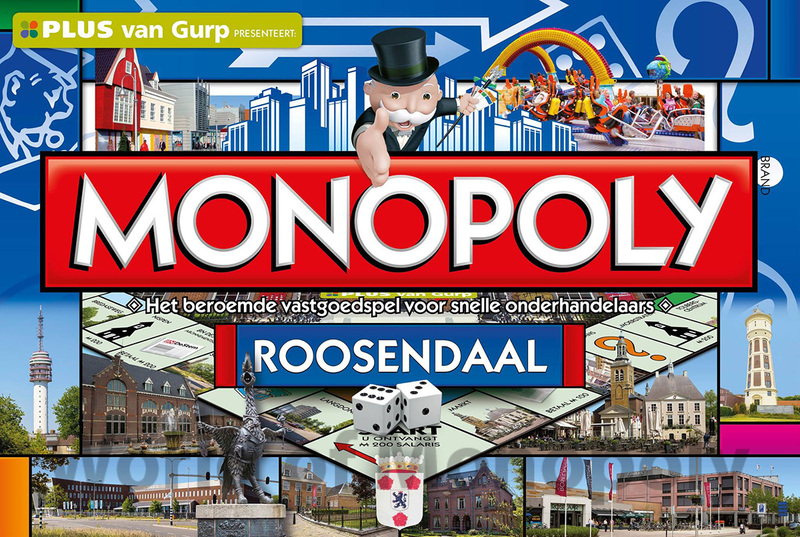 It's all about shopping, loyalty, a loyalty card, Roosendaalse nostalgia and the desire to play. "To get the Monopoly game in your possession, you shop in store from September 25, 2015 to Saturday December 5th 2015. When you buy groceries, you receive at every €10.00 on groceries a Monopoly seal. At 50 stamps you will have a full card and a game coupon of €29.95. That means you get 40 percent discount on the purchase price."